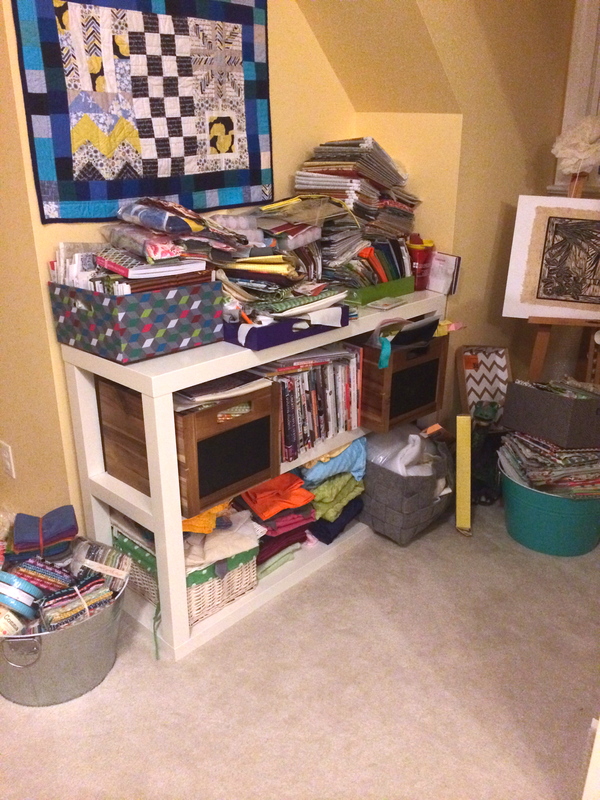 Last week, I posted about my fabric stash and the organizing of my guest room which was serving as a fabric overflow room. 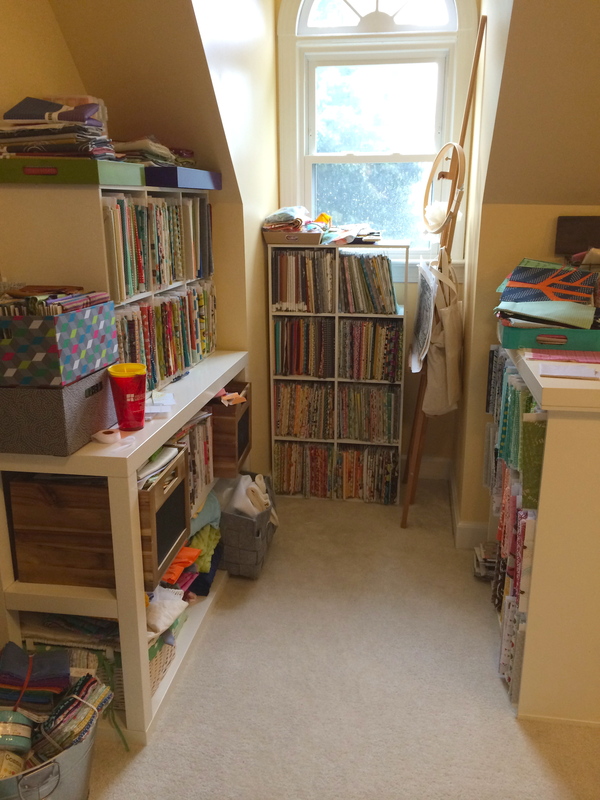 On Saturday, I decided that I needed to move everything back into my sewing room and clean up that corner space. I added some shelving (from Target) on top of my book case and in my alcove space. The fabric is all moved back in, and my space is neat and tidy. I am doing a happy dance!!! Shhh, I even have some room now for a bit more fabric. Linking up with Molli Sparkles for Sunday Stash (see button on the right). This entry was posted in Uncategorized and tagged Fabric storage, organization, sewing room, sunday stash on August 26, 2014 by mlwilkie. One suggestion…you could put a backing, either foam core or cardboard, on the back of your shelves by the window and avoid fading…been there. Wow, great job. Did you get it all wound onto comic boards too?? 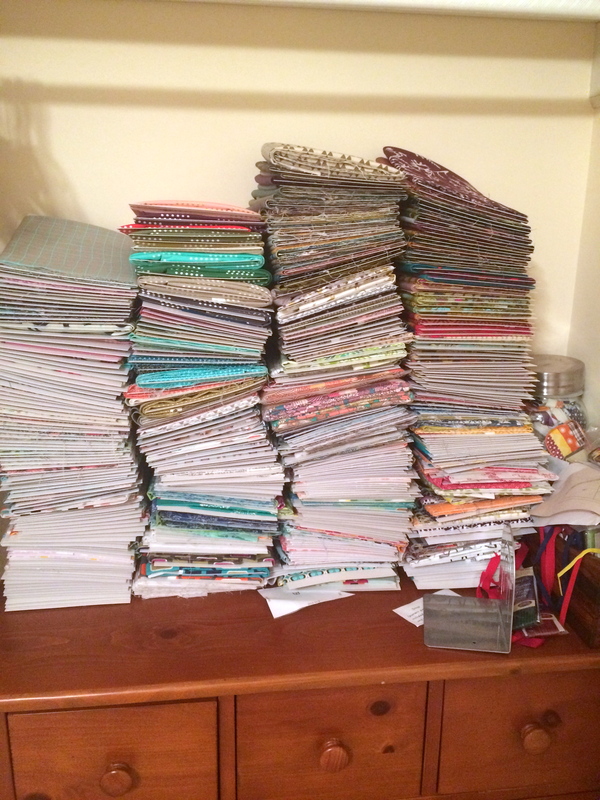 And yes, making room for more fabric should always be the goal! Looks great! Wish mine was out and pretty like that! 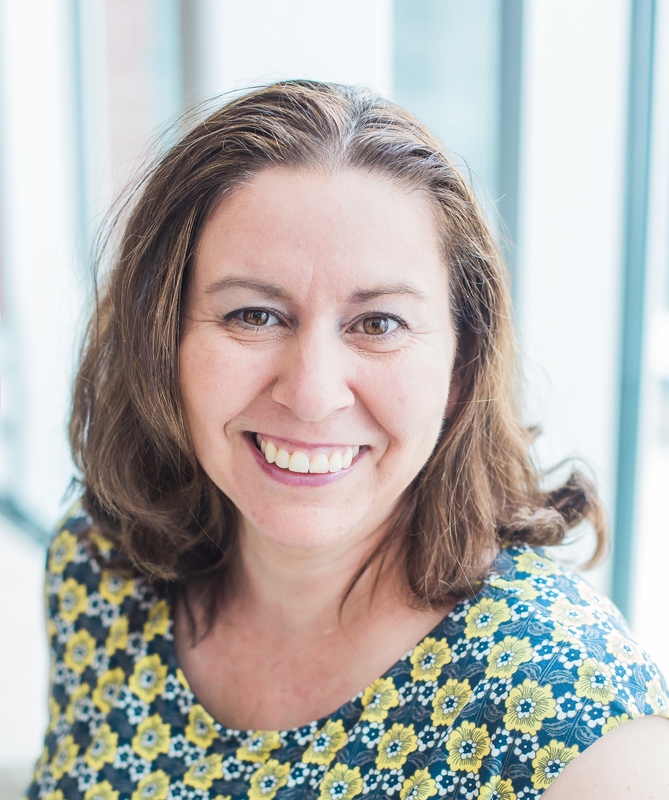 Should have added how much I like your blog and how your recent reorg inspired me to do mine. Thanks Michelle! It looks fantastic!!! Way to go! Does it inspire you to sew some? Hurray for organization! But you’re right – I can see a little daylight peeking through that window shelf. Time to fill it up!